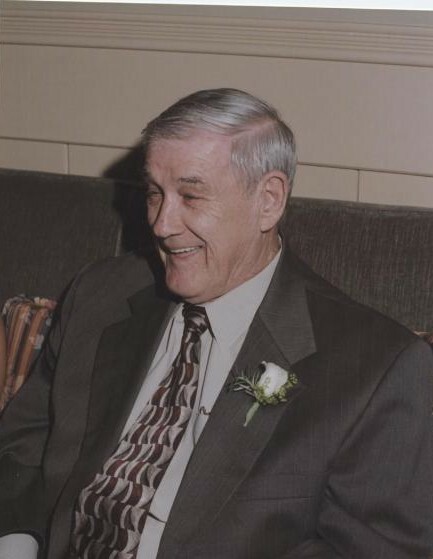 Ralph Worth Ellis, age 85, of Apex, died Saturday, January 19, 2019 at his home surrounded by his family. Ralph was born in Durham County on March 23, 1933 to the late Otha Ellis and Janie Roberts Ellis. He was also preceded in death by two brothers; Mose Ellis, and Wayne Ellis, and three sisters; Frances Munsey, Dorothy O’Neal, and Helen Tilley. Surviving relatives include his wife Joyce Massey Ellis of the home, son; Danny Ellis of Southern Pines, two daughters; Nita Blalock of Durham and Angela Adams Skinner of Sanford, brother Claiborne (Tip) Ellis and wife Mary of Durham, six grandchildren, Ashleigh Soucy of Los Angeles, CA, Molly Jones of Southern Pines, Crystal Harris of Pittsboro, Lindsey White of Monroe, NC, Thomas Adams of New York, NY, Tyler Adams of Cary, and seven great-grandchildren. The family will receive friends Saturday, January 26, 2019 from 1:00 PM to 1:30 PM in the Sanctuary at Berea Baptist Church. A Graveside Service will follow in the Church cemetery at 1:30 PM with Rev. Phil Mumford and Eddie Atkins presiding. In lieu of flowers the family asks that donations be made in Ralph’s memory to Berea Baptist Church 5011 Fayetteville Road Durham, NC 27312. Donaldson Funeral Home & Cremation is honored to serve the Ellis family.